Unless "chin" is signaled, "high" usually begins when the guard with the ball waves the other one through. 5 rubs off of the cutting guard to the elbow. After passing to 5, 1 has three options. 3) screen over the ball. On the pass into 5, 1 may elect to cut backdoor. 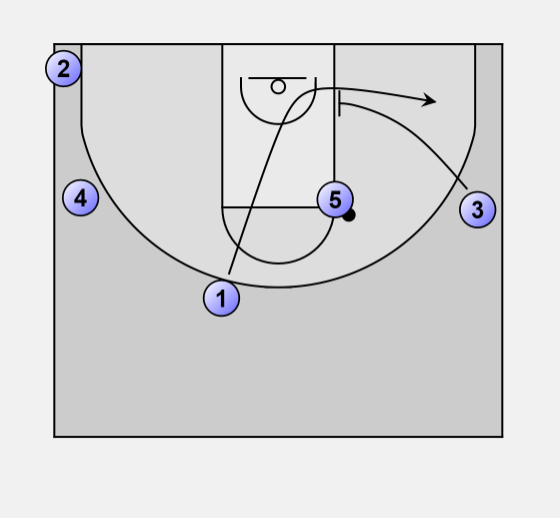 5 looks at 1 cutting, then looks at him again as he comes off of 3, who has again set a screen on the block. 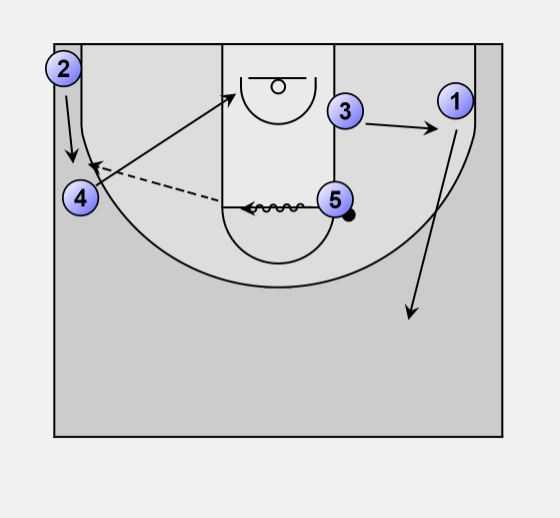 5 might also turn and dribble at 4 who executes a backdoor/fill or flare situation. If this occurs, 1 moves to the midline, and 3 pops out. 5 headhunts 1's man and a top flare is created.